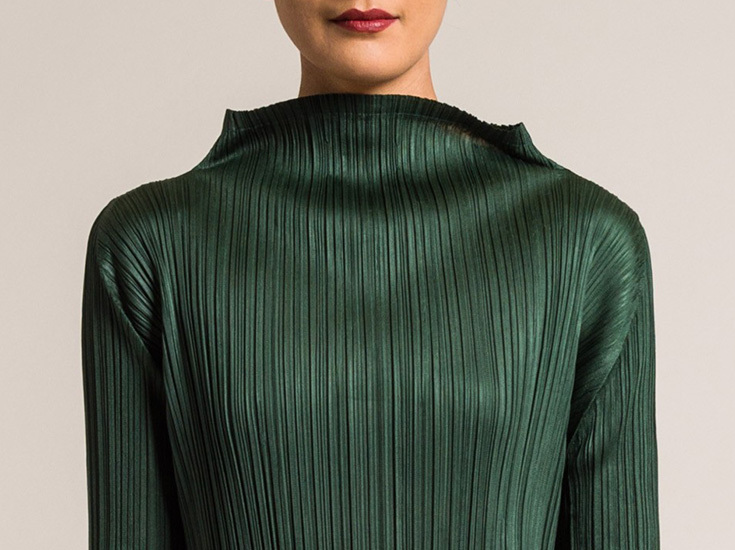 Now available online, new Issey Miyake Pleats Please. From their collection of permanent pleated clothing, we have two dresses, a tunic, and a pair of wide leg pants. All pieces stretch, drape, and move thanks to their vertical running pleats. The latest shipment is available online and in-store at Santa Fe Dry Goods on the Plaza in Santa Fe, New Mexico.